Polity Press (Hot Spots in Global Politics), 2017. 264 pages. $22.95, paperback. Robert Springborg has been one of the most astute analysts of Egyptian politics since his first book, Family, Power, and Politics in Egypt, was published in 1982. His latest work, Egypt, stands out from the spate of books published after the 2011 uprising. 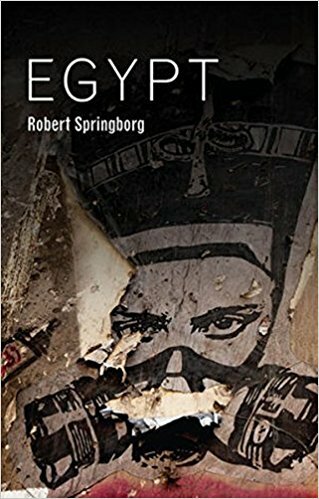 In clear and engaging prose, Prof. Springborg provides a compelling argument about the challenges facing the Egyptian society and polity. He adeptly combines important social-science insights with a deep knowledge of the workings of Egypt's regime and political economy. His book explores how Egypt's military, intelligence and high-ranking members of the executive comprise a "deep state" that limits Egypt's political and economic development. Packed with telling details and insightful observations, this book provides ample food for thought for specialists and the public alike. Egypt focuses on analyzing the exercise of state power since Gamal Abdel Nasser and his allies constructed a "limited access order" that excluded citizens from participation in civil society, political engagement and independent economic activity. The book shows how successive presidential regimes extended legal and extra-legal systems of control, surveillance and coercion. These techniques made state power despotic (to borrow Michael Man's terminology), fierce and yet brittle, rather than infrastructural, able to reach out to and be informed by civil, political, and economic actors with autonomy from the deep state. Springborg clearly lays out the attendant, largely negative, consequences for Egyptians in terms of exclusive politics, stagnant economic development and the poor quality of public services. The author is refreshingly unsparing in his critique of the Al-Sisi regime's assault on civilian sources of authority since the 2013 coup, describing the regime thus far as "an officer republic more brutal than any since the darkest days of the Nasser era" (p. 5). The central proposition of the book is that Egypt's state elite, intent on securing their privileged access to rents and power, have ended up locking the country into a downward spiral. Springborg reminds us that while Egypt, along with Tunisia, has long been one of the most coherent nation-states in the Middle East — with a relatively stable internal politics, extensive state administration, territorially concentrated population and strong national identity — all of these features are increasingly under stress and, in some cases, unraveling. As economic and political challenges become ever greater, the deep state increasingly lacks both the political will and fiscal-organizational capacity to address them. Economic, demographic and environmental crises combine with social polarization around class, sect and region to make Egypt's situation ever more precarious. This internal decay and social conflict have eroded Egypt's traditional status as an important power in the Middle East, particularly when contrasted with the increased clout of Saudi Arabia and other oil-exporting states in the Gulf. Springborg provides an in-depth account of how the central institutions of formal governance, including the judiciary, parliament and central ministries, remain penetrated, isolated and ultimately controlled by the military, security and presidential elements of the deep state. As anyone who has worked on public policy in Egypt knows, the pervasive phenomena of parallel competing units within the state bureaucracy, the complete absence of budget transparency, and the proliferation of various off-budget accounts and lack of communication between various units is so extensive that mere efforts at administrative reform are bound to fail. This failure, Springborg suggests, is due at least in part to the fact that these institutions are in some sense façades for a national-security state with its own agendas, factions and interests. Lying underneath the formal superstructure of the various ministries, responsible for everything from education to housing to health, are the many military and intelligence officers, both active and retired. Springborg describes Egypt's governmental sector as "a Swiss cheese, full of holes in which those with military or security backgrounds or connected to the presidency are lurking, nibbling away at the cheese" (p. 80). Springborg arrives at these characterizations in part because of his long experience working in Egypt. The brief anecdotes he provides about the myriad specific ways in which state security and intelligence penetrate state institutions are particularly telling. The institutions of local government face similar fragmentation and penetration by the deep state. Rather than emphasizing petty corruption or a need for "capacity building," Springborg highlights the political causes of these dysfunctions. Local administration is corrupt and unaccountable because it serves primarily as a mechanism for social control and demobilization of the population. The importance of improving local government was not lost on the activists leading the 2011 protests, who reiterated longstanding opposition calls to reinstate municipal and provincial elections. As part of the re-assertion and militarization of the deep state after the 2013 coup, President Al-Sisi has instead doubled down on appointing current and former military men to run the provinces. With the judicial dissolution of the government's National Democratic Party, patronage networks between the center and peripheries are arguably being reconstituted more directly with the military as a key player. In this respect, Springborg joins other analysts of Al-Sisi's emerging regime, such as Zeinab Abul-Magd and Shana Marshall, in observing that the military has come to play an even more significant role in Egypt's economy, serving not only as a middleman on public-sector contracts and land allocations but also as a direct contractor, builder and service provider. Parliament and the judiciary constitute the two institutions with the most potential to work together to promote political reform. Springborg succinctly describes the tactics various presidencies have used to exert formal and informal control over these institutions, as well as the reasons that both Sadat and Mubarak allowed moments of liberalization. The deep state has long undermined the autonomy and competency of these institutions through an array of legal and extra-legal mechanisms. These include executive control over administrative decrees, constitutional amendments, electoral laws, civil service hiring and promotion. The regime also engages in selective campaigns of intimidation and charges of wrongdoing for judges and parliamentarians. Al-Sisi's regime, for instance, helped ensure a compliant parliament by building upon tactics used under Mubarak, including expanding the size of the body, limiting the numbers of candidates elected by party lists, providing selective benefits for pro-regime parliamentarians, and restricting its jurisdiction. Particularly welcome is Springborg's attention to several topics that often receive inadequate attention in studies of elite politics yet matter greatly for the future of the country. Springborg notes that minority communities and those on the periphery of the Nile Delta have been systematically marginalized in the security and executive apparatus of the deep state constructed after 1956. Bedouin, Nubians and Coptic Christians have little significant representation or clout. That Sinai and Upper Egypt have long been sites of insurrection, conflict with the security forces, and sectarian violence thus becomes central to understanding the dynamics of Egyptian politics. The regime has long sought to manage its relations with the increasingly beleaguered Coptic community, for example, by propping up the clerical hierarchy and conservative leadership. 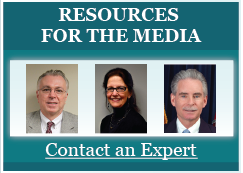 These authority figures have in turn supported the government as a bulwark against radical Islamists. This longstanding strategy, however, has increasingly lost credibility with many Copts, as the regime has refused to prosecute sectarian attacks using the criminal-justice system, relying instead on "informal mediation" by religious figures. As part of direct military rule in 2012, the military also participated directly in killing Coptic protesters in the incident known as the Maspero massacre. The 2011-12 revolution marked the moment when the deep state was truly in jeopardy for the first time since the 1950s. Springborg highlights the failures of the Muslim Brotherhood to sustain their engagement with the revolutionary coalition after Mubarak was deposed, thereby empowering the military leadership that would turn on them and drive them from power. Conditioned by their long history of surviving in an authoritarian system, bound together in secretive hierarchies that demanded loyalty and exalted their beliefs above others, the Brothers soon abandoned the diverse array of activists and political currents that came together in the uprising. After their successes at the ballot box in the post-2011 parliamentary and presidential elections, the emboldened Brothers pursued a number of naïve and reckless policies. They alienated civil-society activists and political elites alike, and soon found themselves isolated and outmaneuvered by Al-Sisi and the generals in the popularly supported coup of 2013. The human cost of the coup, as Springborg effectively chronicles, extended to far greater swaths of the population than just the Muslim Brotherhood. In addition to the indiscriminate violence meted out to civilians in Sinai, the regime detained journalists, bloggers, NGO workers and suspected Islamists. The sweeping roundup left an estimated 40,000 people behind bars, 3,000 dead and hundreds more "disappeared" (p. 143). As in other parts of the world, systematic assaults on human and civic rights have been codified into law using expansive, vague charges related to supporting terrorism, "undermining public morality," "publishing false news," "defaming the state" and "tarnishing the nation's reputation," alongside other dubious justifications (pp. 144 and 158). The presidency has issued a raft of new laws on this basis — an estimated 362 — that were passed by an obsequious parliament in 2016. These have effectively expanded an already extensive set of legal tools the regime uses to punish and demonize those it finds threatening. As with political institutions, the regime seeks to keep civil society weak and fragmented, a task made easier made by the deep social divisions and polarization around various issues, including the role of religion in public life. Springborg's penultimate chapter, "Reaping What Is Sown," reveals the developmental plight created by Egypt's deep state. Springborg highlights the economic costs of the rigid nativism and nationalism that banished Egypt's multiethnic bourgeoisie once Nasser consolidated power and the state extended direct control over most of the economy. Springborg also returns to several familiar puzzles in Egyptian economic development: Why did the Nasser "revolution," with its supposed raising up of the peasantry through land reform and representative quotas, end up neglecting the small-holder agricultural sector so thoroughly? Given other models of successful agro-led development, why did the state elite seek to build a costly state industrial sector lacking forward and backward linkages and increasingly rely on extracting rents from land transactions, the sale of hydrocarbons, Suez Canal tolls and foreign assistance? The author is unsparing in his assessment of the results of these policies over the past few decades: "The deep state substituted rent-seeking for attempts at fixed capital accumulation. It plucked low-hanging economic fruit it could reach internally while organizing its external relations around the principle of rent-seeking from foreign patrons" (p. 168). For Al-Sisi, facing an economic crisis in 2013, the important patrons were the oil-exporting Gulf states, which plowed an estimated $40 billion in transfers to Egypt between 2011 and 2016 (p. 175). With the drop in oil prices and the drying up of Gulf transfers, the regime has turned to IMF loans, new hydrocarbon discoveries, and expectations that tourists will return and Egyptian expatriates will still send their wages home. Springborg's basic point is that Egypt's chronic balance-of-payments and fiscal crises are not solved but only bandaged by these sources of rent and debt. The ability to develop a coherent integrative development strategy is limited by an exclusionary politics that drives out talent and limits investment in diverse economic activities. Meanwhile, many more Egyptians are living in poverty, having more children, and facing rising rates of unemployment. Springborg highlights the challenges posed by an unexpected demographic boom that has emerged in the past few years. Drawing on work by Ragui Assad and Caroline Crafft, he notes that a rising number of births reflects members of the "youth bulge" reaching child-bearing age alongside decreased female employment opportunities (p. 178). Government investment in human capital and basic infrastructure has not kept pace with demographic growth or need. Springborg argues that ensuing decay in human and physical capital, as well as in basic ecosystem services, has undermined Egyptians' prospects for health and decent work. "Egypt," he concludes, "has become a ‘late, late developer,' when some seventy years ago it was poised to be a leader of Third World efforts to overtake the First" (p. 196). This pessimistic assessment of Egypt's poor developmental track record leads Springborg to speculate on several trajectories for the country in his final chapter. In the first scenario, which he characterizes as limping along, Al-Sisi's regime continues to get by on external sources of support, given its geopolitical significance and fragile, unstable neighbors. Increased rents from an EU concerned with illegal migration, from the Trump administration's embrace of a populist strongman on anti-terrorism and anti-Iran grounds (as has already happened), from a revived Arab-Israeli peace process, and from the Gulf states — should oil prices rise and the Egyptian government remain pliant to Gulf interests — are the key elements in this trajectory. The brutal crackdowns silence dissent and bring back tourism and foreign direct investment, enabling Al-Sisi to consolidate power, much as Mubarak did before him. In the second scenario, Springborg sketches out a more unlikely liberal alternative. Reformers within the deep state (or possibly Al-Sisi himself) reconcile with some of the leading civilian and Islamist groups and de-escalate the militarization of the polity and economy. This period might resemble, as Springborg points out, attempts by Sadat and Mubarak to create a "semi-civilian political order" (p. 199), with the potential to attract significant European support. This more inclusive political space might allow for more competitive private and public-sector economic activity. Springborg highlights the potential for joint EU-Egyptian investments in renewable energy, horticulture, and textiles production and export. Fianlly, Springborg raises the possibility of state failure and national fragmentation along the lines of Syria or Libya. It is possible but unlikely, Springborg suggests, that the fragmented, weakened Islamists will turn collectively to organized violence and attract factions from within the deep state, or that the middle class will again attempt mass protest for regime change as in 2011. It is somewhat more likely, he argues, that protest and conflicts with security forces all over the country will continue (as they arguably did in the first half of the 2000s) and eventually scale up, with defections from the security forces contributing to endemic violence and crumbling services. Al-Sisi's regime won popular support for the 2013 coup in part by arguing that the state itself was under threat, from the 2011 revolutionaries and the Muslim Brotherhood's electoral successes. Springborg correctly points out that the state and the nation are indeed under threat, but not from the aspirations of ordinary Egyptians for dignity and a better life, or the organizational abilities of the Islamists. Instead, this slim volume makes a compelling case that the greatest threat to Egypt is from within its own deep state. The fundamental challenge for Egyptians, Springborg argues, is that state elites seek to maintain an outdated, cumbersome and costly system reliant on external rent and internal exclusion, which has limited Egypt's ability to pursue inclusive political and economic development.